Having the camera easily available to grab a quick photo is essential, but many Android devices do not have a dedicated camera button. This tech-recipe will show you how to add the Camera app directly to your lockscreen. This will only work for users who have rooted their Android phone and are running any variant of CyanogenMod 7 custom ROM. This will work with any ROMs based on CM7 that have the CM7 tools/settings app. 5. Scroll down to the bottom area and check the “Custom app starter” box and the “Use application icon for” and then tap on the “Custom application“. Choose Applications and then choose Camera. (You can set any app to launch, but obviously in our example we are using the camera app). –This will not work with the Lense Lockscreen Style but will work with all of the other styles such as Sliding Tab or Rotary. 6. Once we set this, just hit back until we exit to the homescreen. 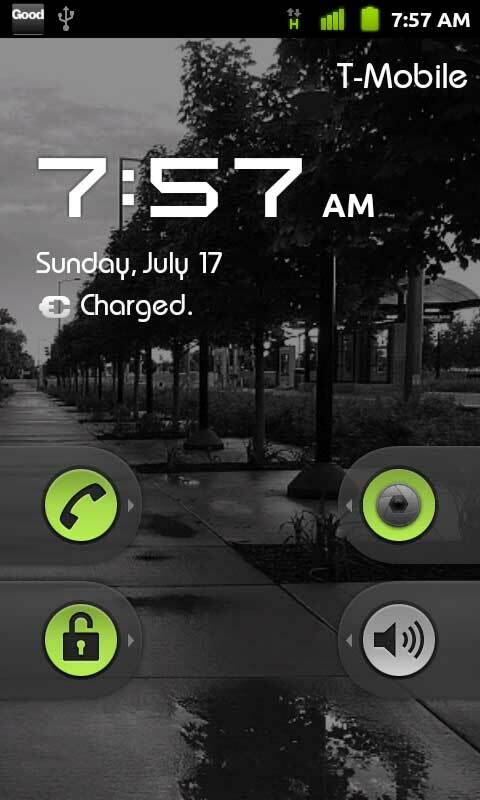 Now once you hit power and power back on, the lock screen will give you immediate access to your Camera. —This will not work if you have a password or gesture password set due to the lockscreen not using the CM7 one.